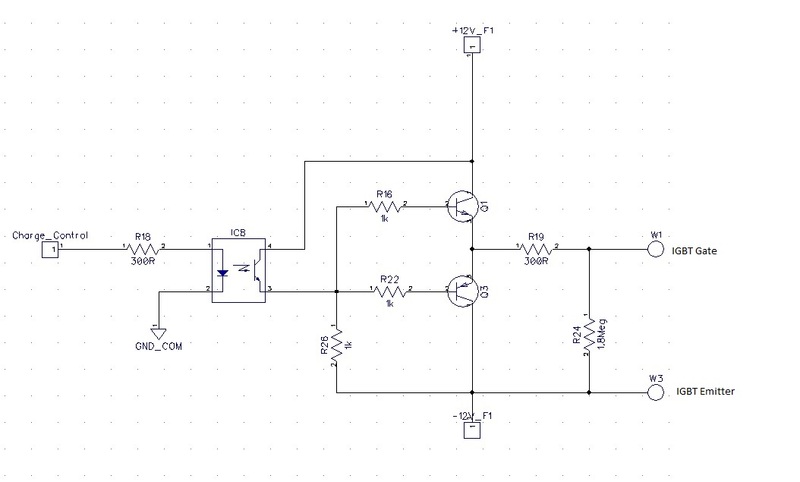 I have a 3-phase bridge rectifier (shown below). I am using an IGBT (STGE200NB60S) to limit the inrush current from the capacitors at start up. I also added the NTC thermisters to help with the inrush current. That end is all fine in that the main breaker is not tripping and and the current is fairly smooth looking. The problem is that the IGBT is failing a lot, the collector-emitter is completely shorted. Its probably caused by a voltage spike at turn off. I cannot capture it exactly as fails randomly. The IGBT in question does not have a built in diode. 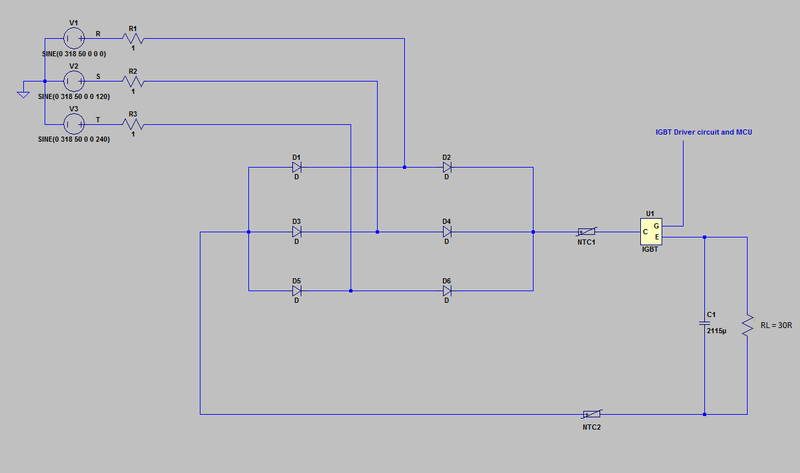 Should I add one and should I add a snubber circuit or would a flyback diode on the load be more suitable or all of the above. What is the best way to protect the device? Browse other questions tagged power power-electronics rectifier igbt or ask your own question. What caused this IGBT failure?